Look, I don’t blame you for being apprehensive. Languishing in development hell for nearly twelve years after the release of DOOM 3 back in 2004, you would have to be some sort of id Software Kool-Aid guzzling loon not to feel at least some trepidation about how the fourth core entry in the legendary FPS series would pan out. Well, now you can finally put that copy of Bulletstorm to bed because they’ve nailed it. The DOOM of 2016 is a game that embraces its classic heritage, intertwining it with contemporary genre elements to create a synergy that is every bit the true successor to DOOM that Machinehead Games recent Wolfenstein games were to that series. Firstly you need to know that this is DOOM through and through and nowhere is this more obvious than in its ridiculously bombastic single-player campaign. Effectively a reboot of the ‘Hell portal opens up on Mars and everything goes to pot’ storyline that the original 1993 classic ran with, DOOM in 2016 scintillates with an absolutely furious shooter experience that stands as arguably the greatest FPS campaign you can get right now on PS4; a full tilt phantasmagoria punctured by ear-shredding shot gun blasts and bouncing demon gibs. Everything that you would want from a shooter that carries that DOOM moniker is here, present and accounted for. Horrendously satisfying combat shotgun? Check. Buckets of gore and demonic unpleasantness? Check. A bunch of coloured keys and secrets to uncover? Check. More than just ticking off a shopping list of what made the original so great however, DOOM’s campaign doesn’t just revisit its classic roots; it makes them feel fresh again. From the lack of regenerating shields to being able to carry more than two weapons at once without ever having to reload, it’s evident that the shooters of today would still stand to learn a great deal from the forefather of the genre some twenty-three years on. From the off, DOOM makes just about every other FPS you’ve played feel like you have been shambling through a treacle swamp by comparison. Wonderfully light and swift movement combined with a newfound verticality that encourages you to scale just about any surface is consistently enabled by a blistering sixty frames per second screen update that effortlessly propels DOOM’s gorgeous visuals. Just cutting about the place while you blast an imp in half with a shotgun before leaping onto a ledge, firing a grenade down at another group of hellspawn and then following it up with a deft dodge of an incoming fireball before cracking another demon’s face apart with a well-timed blast just feels so good and natural that it ends up being the FPS equivalent of chocolate crack. New to the 2016 release of DOOM are glory kills which in a concession to the modern execution move, is a viscerally impressive quick kill that you can inflict on a foe who has been significantly weakened (a pulsating blue and red aura tips you off as to their vulnerability). The problem however is that it can often interrupt the flow of battle, with it being all too easy to just go about the place snapping limbs and tearing faces off rather than using the business end of your shotgun as the DOOM games of old would have you do. 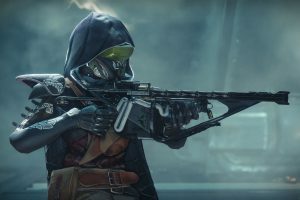 Granted, you can just ignore the mechanic altogether, but for many it will be a difficult habit to shift; even for those originally weaned on the classic shooter stylings of old. Where DOOM’s peerless combat really shines is in how it forces its hyper-violent and high-speed encounters upon the player. Usually beset by spawning foes on all sides within any given environment, DOOM’s combat scenarios can bare resemblance to a twin-stick shooter as you consciously plan a route through all the enemies and incoming fire, splitting apart your foes like satanic piñatas as you scoop up the precious blue health orbs that spill forth from their eviscerated corpses. Moreover, it encourages the sort of strategy that few would associate with id Software’s savage shooter franchise and that, friends, is a good thing. Wisely ditching the limp and tonally ineffectual survival horror beats of DOOM 3 then, DOOM 2016 doesn’t seek to inflict knife edge horror on you because, quite simply, *you* are the horror and it makes sure you never forget that. Whereas searching for secrets in the original DOOM was mainly done out of a need for completeness or some desperate imperative to grab life-saving ammo or health, here a veritable smorgasbord of weapon and ability upgrade systems provide all the incentive you will ever need to go hunting in the nooks and crannies of DOOM’s substantial campaign. Equipment drones allow you to add a secondary fire mechanism to each of your weapons, while demonic stones and suit upgrade cards allow you to increase the health, armour, ammo capacity and other parameters as the campaign progresses. A great side effect of this sort of level design is that DOOM feels a little bit like a FPS take on the Metroidvania genre, since you can revisit earlier levels and access previously unreachable areas and secrets with all your current abilities intact. 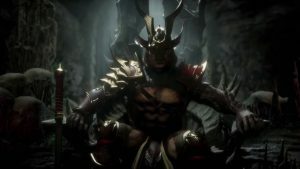 Certainly while the sheer amount of upgrade paths available to the player don’t seem very DOOM-like at all initially; they stand as just one more example of how the developers have deftly augmented modern FPS tropes with the rock-solid and often challenging difficult shooter gameplay that underpins it. A big part of why this works is that skill-based challenges are now intrinsic to both the weapon and ability upgrade systems, with a certain number of kills required in a specific fashion being needed to obtain ‘mastery’ level gun upgrades, for example. 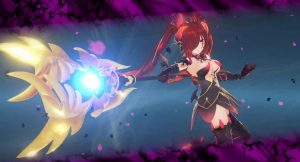 Elsewhere, hidden Rune Trials whisk you off to an arena where you are tasked with destroying a number of demons or objects against a time limit in a particular way in order to earn yourself a special ability upgrade. As much as any other aspect of its DNA, the weapons in DOOM have always been crucial to its appeal and that also remains very much the case here. The iconic combat shotgun excels as a top-tier demon shredding device, it’s tight spread and grenade launcher upgrade keeping it a viable choice right through the entire campaign, while the super shotgun, rocket launcher, plasma cannon, rocket launcher and of course the BFG9000 all make their destructive return as essential armaments in the fight against the hordes of Hell. New to the game is the Gauss Cannon which is basically DOOM’s equivalent of Quake’s rail-gun; a stupendously powerful single shot, long range rifle that can obliterate all but the most armoured of targets with a single well-placed blast. Happily I can also report that the equally iconic chainsaw also makes its glorious return, albeit with a few changes. No longer a tireless bastion of near-infinite demonic punishment, the chainsaw still ruins most enemies instantly but now runs on fuel, with the bigger foes depleting greater quantities of the stuff and thus making its application much more considered than it was previously. Really, the only weak link in the arsenal this time round is the starting plasma pistol, which when compared to the rest of them somehow manages to feel and sound insultingly weak. Away from the stellar trappings of its standard setting single-player campaign, DOOM’s multiplayer mode also brings the goods, though for more than a few it will certainly be divisive. Co-developed with multiplayer specialists Certain Affinity, DOOM’s multiplayer marks a stated return to the tightly knit arena-based conflict that so well defined the earlier Quake titles. While the usual smatterings of competitive multiplayer modes are here, such as deathmatch, king of the hill and all the variants you might imagine in-between, it’s the pace and flow of the game which will prove most jarring for shooter fans reared on a contemporary diet of Call of Duty and Battlefield. 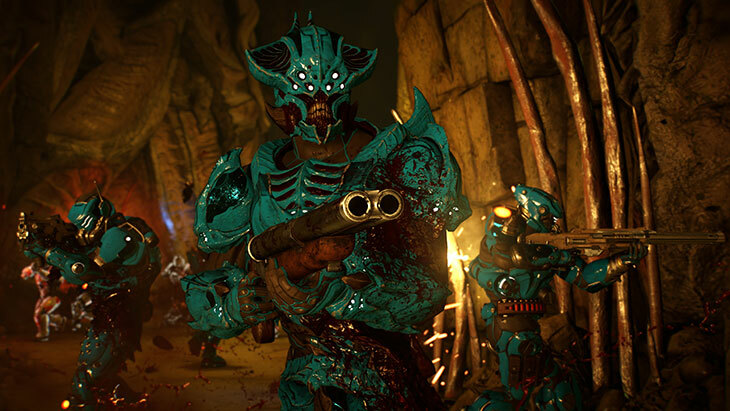 With team-shredding quad-damage and demon runes popping up at set intervals on every map, DOOM channels the old competitive multiplayer beats of the Quake games by granting greater success to those know the maps inside out and the timings for each of the power-up spawns. Simply put, success in DOOM’s multiplayer modes is predicated not just on a refinement of twitch-based reflexes and shooter dexterity but also on a thorough understanding of map design and it’s this that will likely not sit well with the current multiplayer shooter fanbase. For those who can get over such idiosyncrasies however, DOOM’s multiplayer mode is ferociously enjoyable; it’s rapid-fire pace and clever map design reliably resulting in competitive sessions that are as satisfying as they are exhilarating. Equally, while DOOM’s multiplayer always feels at its very best when it’s being at its most simplistic, the introduction of custom loadouts and an XP-based progression system by contrast feels like a superfluous nod to the multiplayer shooters of today. There’s just no need for any of it; just strip it all away and keep the multiplayer lean and simple without all this other noise getting in the way. Beyond its reassuringly substantial single-player and multiplayer offering, DOOM also comes with a SnapMap editor that players can use to forge their own levels for solo, co-operative and competitive play. A rather friendly and easy-to-grips with creation tool, players can fashion whole levels starting on a blueprint style screen where they start by connecting rooms to one another before filling them with monsters, items, secrets and everything else that you might expect to find in the game proper. 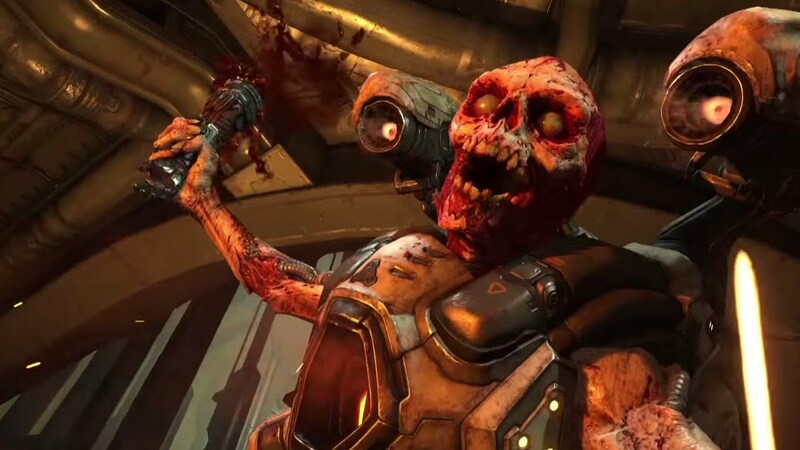 In allowing players such a robust toolset with which to craft their own content, SnapMap effectively provides DOOM with near endless appeal long after the campaign has been finished; neatly giving relief to those outraged by the publisher’s decision to make all future DLC multiplayer focused in the process. This is DOOM then, meaningfully and effectively brought into 2016 with the sort of verve and deep seated affection for the original that very few other games can match; a furious love-letter to the legendary 1993 original written in demon blood and stamped with buckshot. And really, if we’re being honest with ourselves, isn’t that what we wanted all along? A confident resurgence of one of the FPS genre’s pioneering efforts; DOOM not only manages to boast perhaps the finest single-player campaign in the genre but also a blissfully entertaining multiplayer suite and map editor to boot. Make no mistake, this is DOOM 2.0 and it’s one of the very best shooters you can buy on PS4 right now.